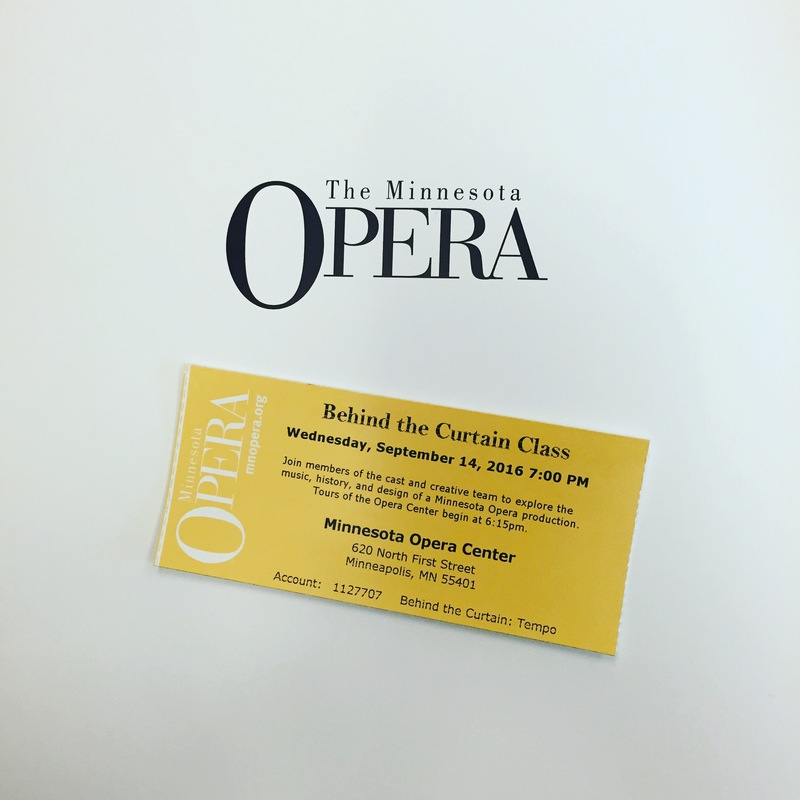 On September 14, 2016, a little after 7:00 p.m., Peter Mercer-Taylor made Gounod’s Roméo et Juliette come alive for me for the first time at the Minnesota Opera Behind the Curtain event at the Minnesota Opera Center in Minneapolis’s North Loop district. This rather obscure mid-19th century opera has never had a consistent place in the canon, but after Mercer-Taylor’s lecture, I wonder if it deserves one. Mercer-Taylor began his talk with a history lesson, discussing the significance of certain events in Gounod’s life leading up to his composition of Romeo and Juliet – hist time in Leipzig where he met Mendelssohn, his time in Italy where he was exposed to the bel canto composers Bellini and Donizetti, and more importantly, to the earlier Renaissance sacred music counterpoint master Palestrina. The lecture then went through a detailed synopsis of the opera. Mercutio’s Ballade of Queen Mab – this first aria of the opera is very similar in style to Mendelssohn’s “ferry style” in his Incidental Music to A Midsummer Night’s Dream, Op. 61, No. 1: Scherzo. Juliet’s first arietta – it is in a waltz style reminiscent of the Viennese waltz. The entr’acte and scene that begins Act III – here Gounod taps into the imitative counterpoint style of Palestrina while we meet Friar Laurence. The Act III finale – we get the funeral march rhythm, similar to Chopin’s famous Piano Sonata No. 2, Mvt. 3. This rhythm acts as a “straitjacket” while Romeo sings, signifying the fact that he is stuck in his position. Clearly several of the events in Gounod’s earlier life came to light in this work. Then began the discussion of the unifying love theme. Take a minute to listen to it in its entirety. It runs from 5:18 – 7:00 in the following clip. Absolutely gorgeous. We first hear this theme at the end of the Overture-Prologue, and it reappears in fragmented form throughout the opera when Romeo and Juliet are together. 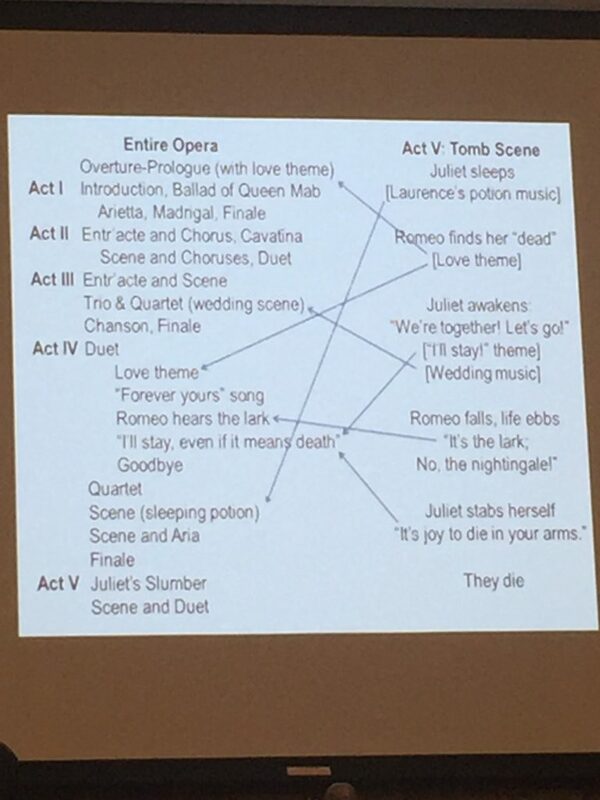 To wrap up the lecture, Mercer-Taylor explained how fascinating the final scene of the opera, the tomb scene, is. This knife-wrenching, tender scene brings back an extremely large amount of the musical material from earlier in the opera and provides a beautiful bookend with the opening dreamy scenes as the two lovers’ lives come to an end. A gorgeous finish to a touching opera. 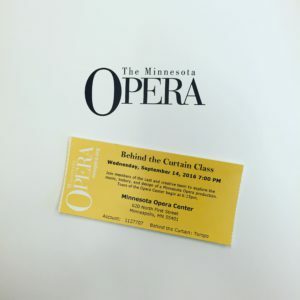 I greatly look forward to future Minnesota Opera Behind the Curtain events if this one represents in any way what we can expect.